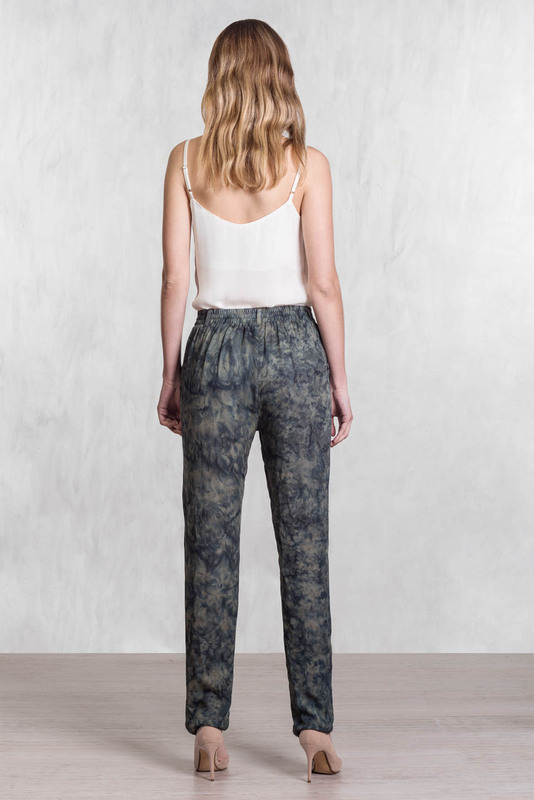 Mid-rise, relaxed straight leg pant cut from a light weight silk. Slanted side pockets at hip fastened with elastic waist. ‘The gecko is hidden behind the leaves, is tranformed in a work of Art as bold strokes and marks create abstract camouflage interpretations with a soft animal ink.. Stand with your hips together and measure the fullest part of your hips. Be sure to go over your buttocks as well. Colour variations should occur due to the hand dyeing and it is part of the natural evolving process. We trust that you have invested in a Isa Lavilla piece in part for this unique and one-of-a-kind look,and appreciate the beauty of theses differences.